Westgate is home to one of New Zealand’s biggest town developments, and now also home to Kennards Hire’s newest branch, bringing the New Zealand network to 25 branches. Located North West of Auckland in a bustling hive of activity, the family-owned and operated business is meeting demands of the growing region, bringing much needed equipment to the current construction projects and the locals of Westgate. Auckland’s $200 million Westgate Town Centre Development will see the regional town transformed into a hub for retail and commercial activity in the North West. Along with an up and coming industrial area laced with a heap of residential infrastructure, it’s safe to say Westgate is a quickly developing town that will become a very busy and lively centre of activity. With a large town square, civic space, community library and outdoor dining areas in the works, Kennards Hire Westgate has got what it takes to be at the forefront of all the construction, servicing the needs of any and all projects, whether big or small. Sitting on a 2,600sqm site, the purpose-built branch offers an extensive range of equipment, including a vast variety of the latest cordless, battery-powered tools from STIHL, Hilti, Makita and Milwaukee. Kennards Hire Westgate will be led by Branch Manager, Drikus van der Hoven. Joining him at the new branch will be Mitchell Carter, Assistant Branch Manager, Hux Roni, Service Person Driver, and RG Constantino, Small Engine Mechanic. With more than 20 years of combined experience, the team at Kennards Hire Westgate have a wealth of knowledge, so finding the right tools for the job has never been easier. 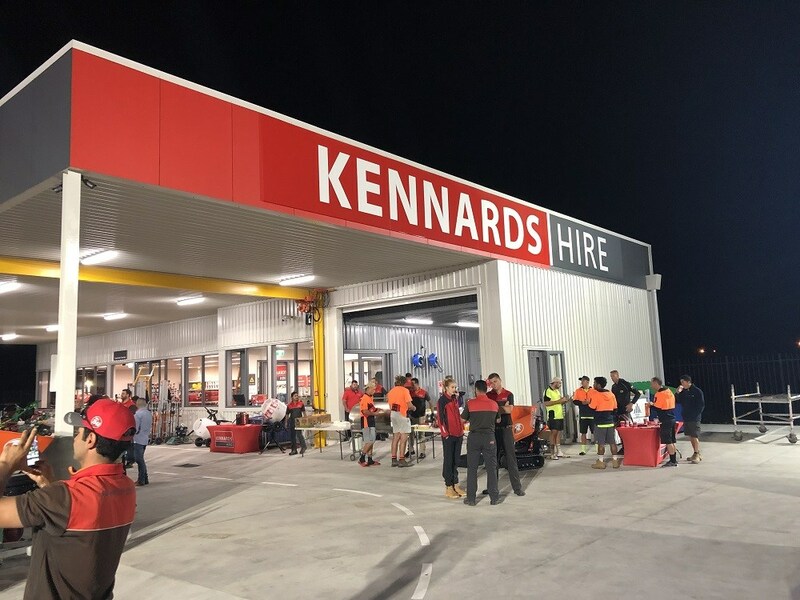 The official opening took place on Wednesday, 20 March, with the occasion marked by a Tradie Breakfast hosted by the Kennards Hire Westgate team. Located at 16 Northside Drive, Westgate 0657, the branch is open from 7am - 5pm Monday to Friday, 7.30am - 5pm on Saturdays and 8am - 4pm on Sundays. Contact the branch on (09) 416 0720.